Healthcare organizations work round the clock to give us the medical service we need. In its most literal sense, it is a business that capitalizes on providing health care. Just like any business, they also have their fair share of strengths and weaknesses. They do SWOT analysis to see how their business is like and what they can do to make a big change in their system. You may also see Analysis Templates. SWOT analysis stands for strengths, weaknesses, opportunities, and threats. This analysis is a common business procedure that helps businesses and companies in coming up with project plans and evaluating the competition. It also helps the company identify their strongest and weakest points, and what they can do about it. The internal factors are the strengths and weaknesses, while the opportunities and threats are considered the external ones. 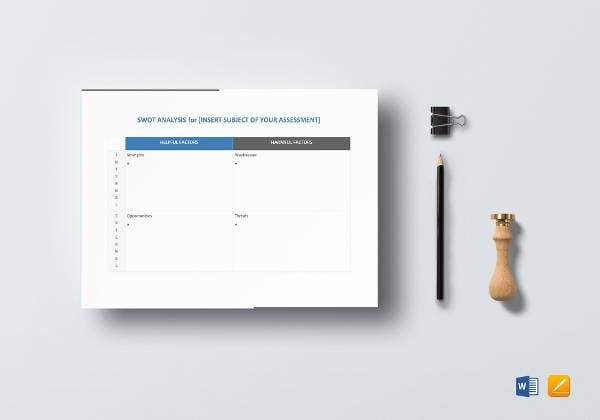 SWOT analysis is a useful tool when you want to use your resources more efficiently after you have identified your strengths. It also helps you improve your operations and performance as you get to know your weaknesses. 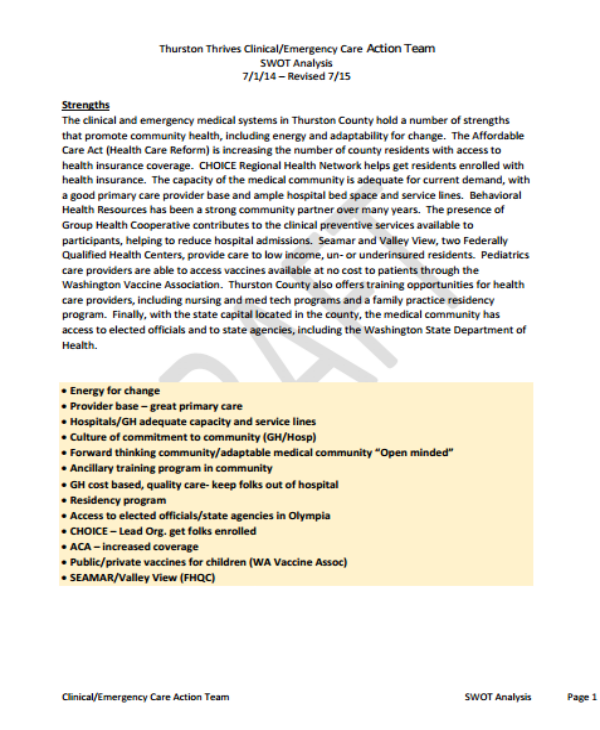 You may also see sample healthcare SWOT analysis. In business, opportunities are always open for you to grab. Once you determine them in the analysis, it’s your call on how to react to it. These can change anytime depending on the situation of the business. But before jumping to any opportunity, think through it again and again. There are also threats in your simple business that will make you think twice. With the SWOT analysis, you can easily determine what works for your business and the ones that don’t. You can already make another backup plan on how to operate and improve your business even more. Healthcare organizations give out services to those with illness and medical conditions, terminal or not. Within their organization, they need to do an assessment of how their services and performance affect the people they serve so far. You may also see employee SWOT analysis templates. Gather all the data you need about the current state of your company. 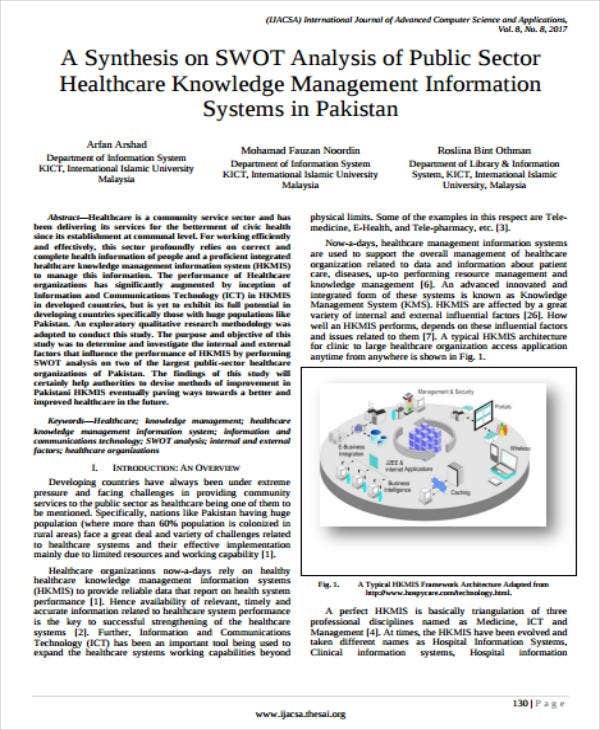 It includes the number of staff you have, the status of the medical technology and equipment, the revenue of the hospital in a given time span, and the sources of the funding for healthcare. Analyze these data so you can determine the capabilities of the organization. 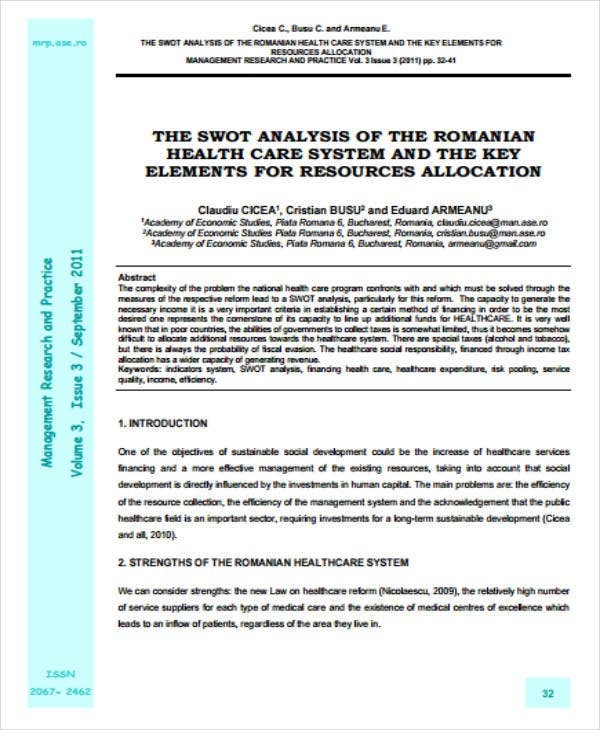 You may also see personal SWOT analysis templates. Look at all the data in your lap and try to determine where it belongs. Some of them belong to two or more categories, while some are solely for one category. The internal and external factors play with each other at this point. 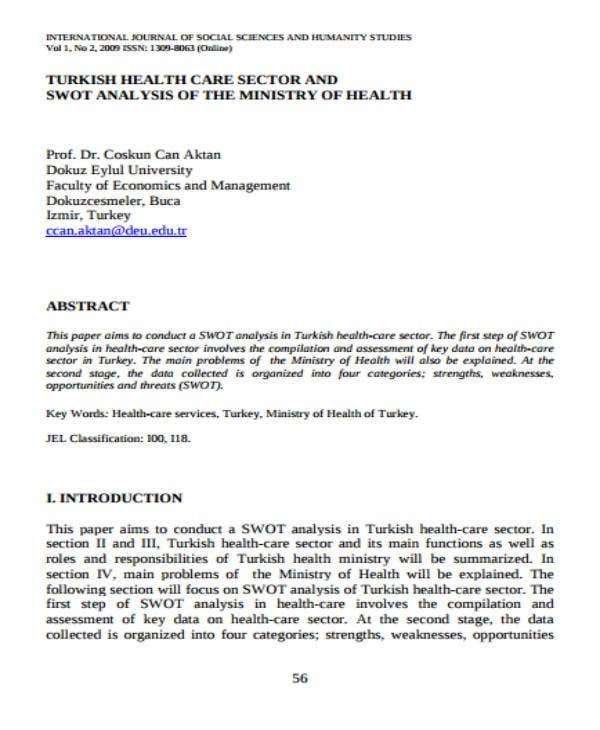 You may also see simple SWOT analysis. The data has been categorized in their respective categories. The next thing that you have to do is develop the matrix. In a SWOT matrix, you need to study how each category affects each other. You will then discover how each part of the SWOT analysis is useful when you start making decisions. 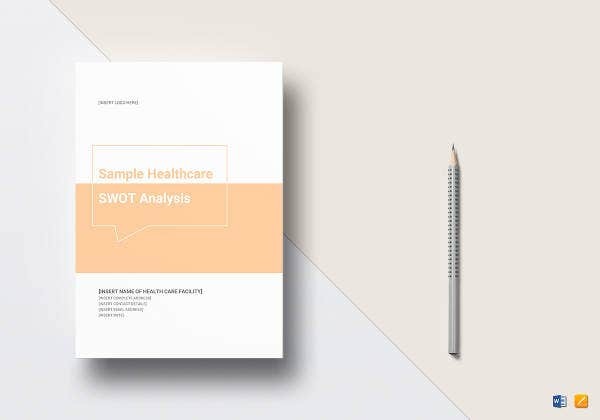 You may also see sample marketing SWOT analysis templates. After the matrix has been made, it is time to analyze it and apply anything that can be used in the decision-making process. One big thing about SWOT analysis is it can influence your decision-making process as you do what’s good for the company. 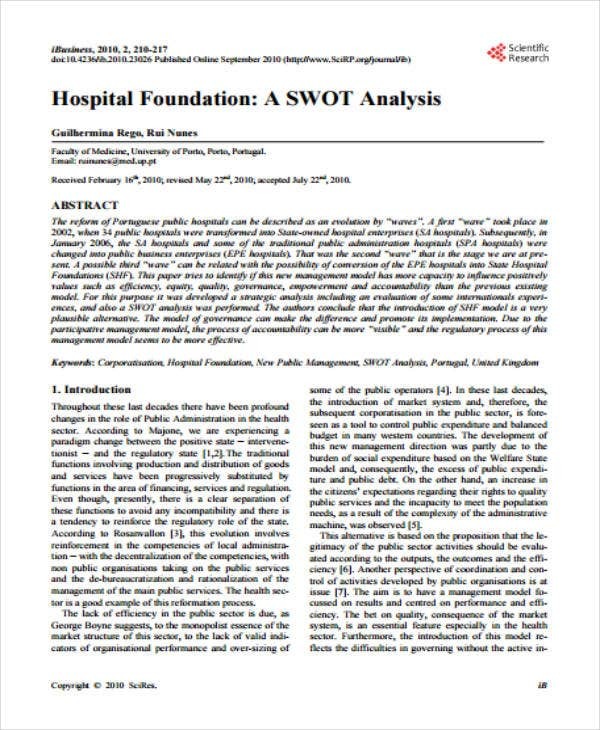 You may also see hospital SWOT analysis templates. We don’t know when disease or accident strikes. These can destroy our bodies permanently if left untreated. When you sign up for a healthcare insurance, it covers almost all kinds of diseases and medications available. It is not solely restricted to one kind of treatment. Below are the healthcare benefits people can enjoy when they sign up for it. You may also see sample business SWOT analysis templates. Outpatient services are for those patients with little to minor injuries. They come to the hospital, get treated, and go home right after. There’s no need for hospitalization since the injury is not life-threatening. Healthcare benefits list this service as one of the few that they can offer. Outpatient services are quick and effective as well. You may also see blank SWOT analysis templates. This is a common healthcare benefit that is present in almost every one of it. No matter how dangerous the situation is, a person should be treated right away when he is rushed to the emergency room. Injuries of any kind are treated immediately as long when it is done inside the emergency room. You may also see personal SWOT analysis templates. Doctors prescribe drugs to patients with mild to serious conditions. These drugs are not bought over the counter without a prescription as these targets to heal a certain condition of the body only. This is part of the healthcare benefit. Getting a prescription drug with the help of your insurance assures that you’ve got nothing to pay. You may also see project management SWOT analysis. Healthcare insurance includes hospitalization services in the list of benefits. The insurance has a limited amount they can cover in case you get admitted to a hospital. It is a big help especially when you’re running out of money. It also includes which room you will be admitted and it has a corresponding cost. It will be shouldered by the health insurance company that you signed in to. 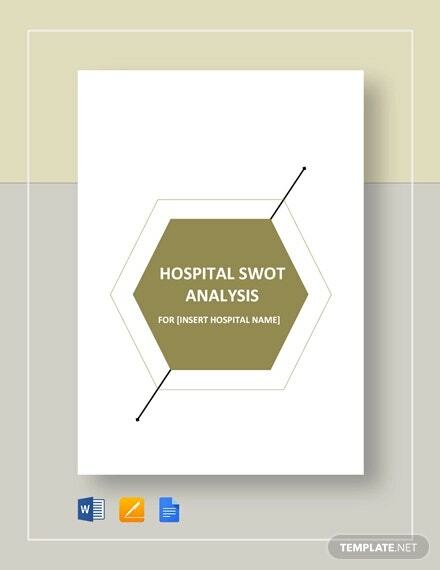 You may also see hotel SWOT analysis templates. Rehabilitation is a serious and long process. 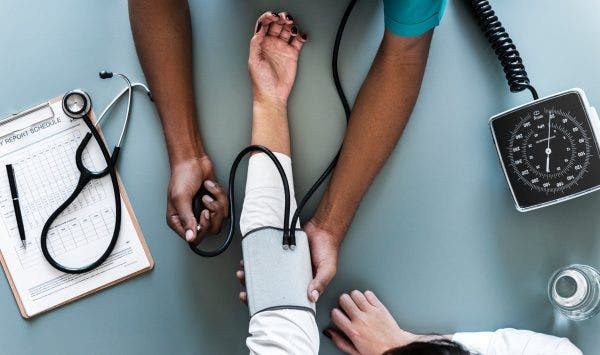 For patients with a much more serious condition such as drug addiction, health insurance companies offer rehabilitation services to people with life-threatening conditions. These people can still be saved with proper care, attention, and medication. Health insurance companies shoulder the costly fees of rehabilitation so those rehabilitated can go back to the society and live a normal life. You may also see printable project analysis templates. Complete blood count, blood sugar monitoring, and urinalysis are some of the laboratory services offered by healthcare insurance companies. These tests are needed, especially when you have a condition that needs to be monitored. The progress and improvements are tracked, so proper medication will be given. There’s no charge for these services as long as you have your insurance. You may also see organizational analysis templates. Now here’s the thing about insurance. You can enroll your children in it and make them avail pediatric services. These services include teeth cleaning, eye exam and x-rays. These can only be availed by children under 19 years old. You may also see analysis templates. Mental health is something people talk about in hushed voices. People usually see mental health as dangerous or bothersome to those who don’t suffer it. On the other hand, people with mental health issues find it hard to open up to people. They are afraid of being judged and be invalidated with how they think and feel. Hospitals offer mental health services to these people. They need all the assistance they can get. Women who pregnant and don’t have enough cash for maternity services and newborn care are being helped by the healthcare insurance companies. They are assisted with their everyday needs after their child is born. It is a must for a newborn baby to be given so much care since they are still sensitive to the outside world. You may also see sample company analysis templates. Aside from treating diseases, monitoring conditions and responding to injuries, healthcare gives wellness services to anyone who needs it. People will see doctors and seek advice on how to live in the healthiest way possible. Preventive measures for getting diseases are also given out. You may also see cost analysis templates. Any healthcare organization has its own strengths and weakness. They should determine what these are and be able to use it for their own advantage. The SWOT analysis will make them see what they can do with their business and how to make it better. You may also see certificate of analysis templates.